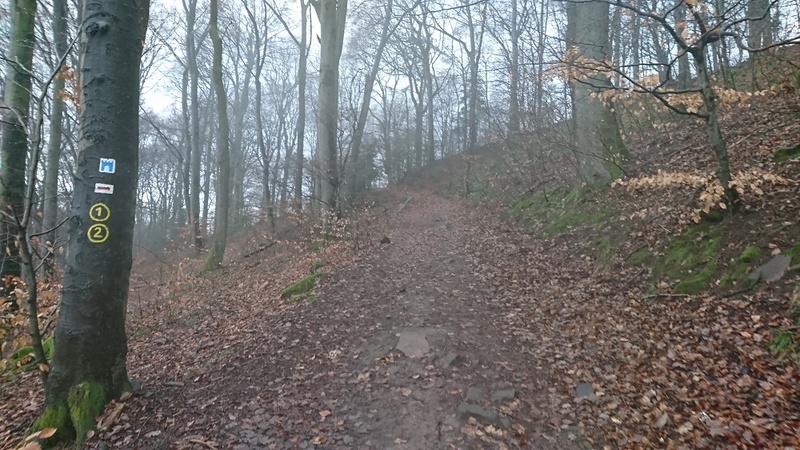 I’ve run from the city itself out along the Neckar Valley to Ziegelhausen a few times over the years, but this time I decided to find my way to the top of the Holy Mountain (or “Mountain of the Saints”) known locally as Heiligenberg. As usual I set off past the gate of Pujaloy itself and up Neuerweg, climbing quickly on switchbacks until the residential street became a steep, silent, forest road leading into the beech and pine woods that cover the ridge. The weather forecast was OK but clearly not accurate as it was soon tipping down with cold, heavy rain and I was grateful to be in the trees. 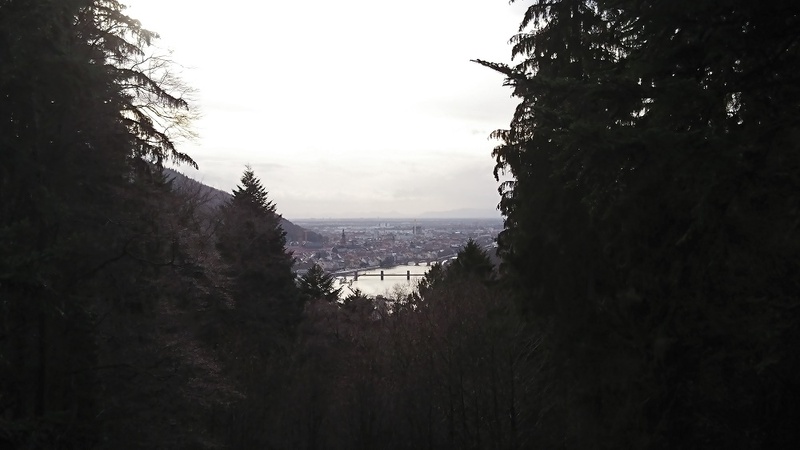 There were plenty of ups and downs along the ridge and occasional signs too – Heiligenberg is easy to find. 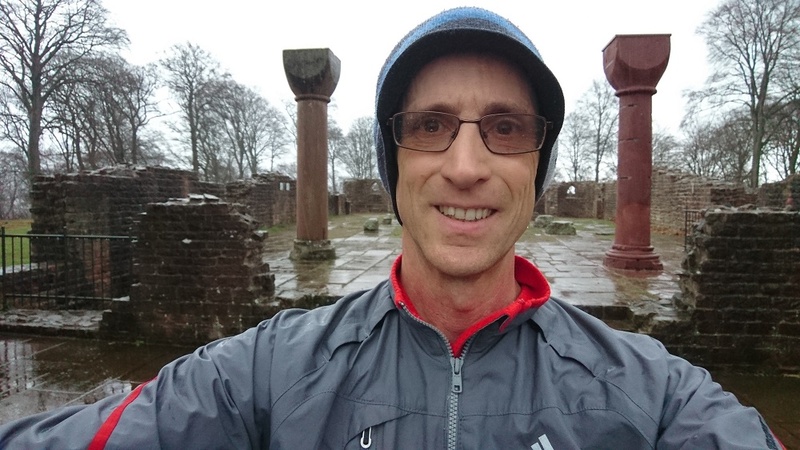 After around 45 minutes I was at the top, exploring the church that dates back many centuries and is itself built on the site of a Roman Temple dedicated to Mercury – a good target for a trail run! I climbed the tower and grabbed a couple of photos but my temperature was dropping fast so I got back out into the wind and rain and began to push it hard back through the forest. I’ve been out of condition running-wise for several years, building up my speed sometimes and occasionally my distance, only to see things break down through injury. Now I’ve managed to string a few months of short runs together and the old thirst for further and faster has started to come back. Once on the sure footing of the wide, gravel-surfaced, forest road I started to wind it up and get into tempo run mode. It was a great feeling and apart from a couple of pauses to check my directions as I came back to the valley overlooking Ziegelhausen, I was glad to be able to keep up the pace. When I staggered into the hotel it had been 90 minutes of hard effort – climbing on the way out and pushing the pace on the way back. 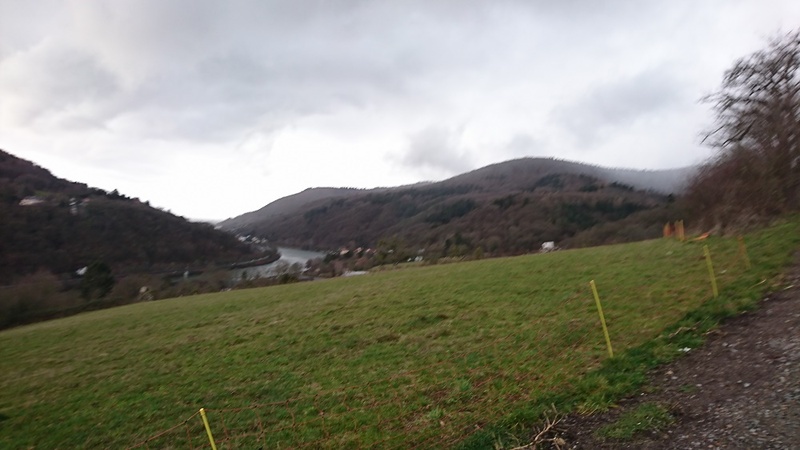 I’ll have to do this run again in better weather so I can really appreciate the surroundings – heavy rain tends to make you keep your head down and plough on, while mist and low cloud aren’t great for views over the valley. It was great to reach the top of the Heiligenberg though, having looked up at it from the town so many times and run along it’s flanks to and from Ziegelhausen several times.